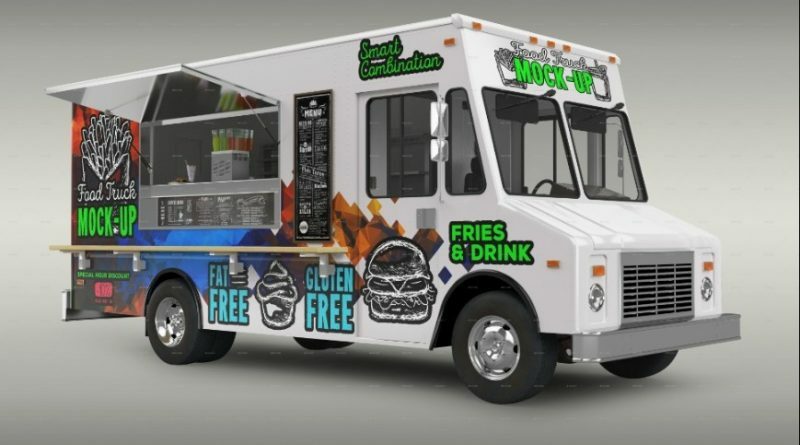 Welcome back are you designing a brand identity design for food truck or a restaurant on wheels ? 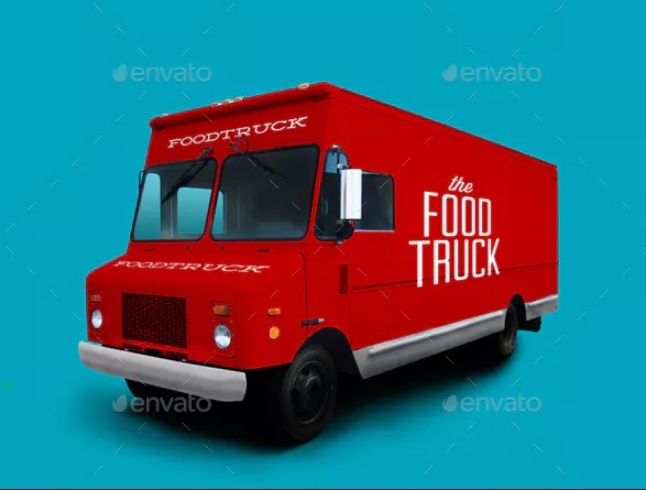 If you are in search of mockup psd for presenting the brand identity design on food truck then this file is suitable for you. 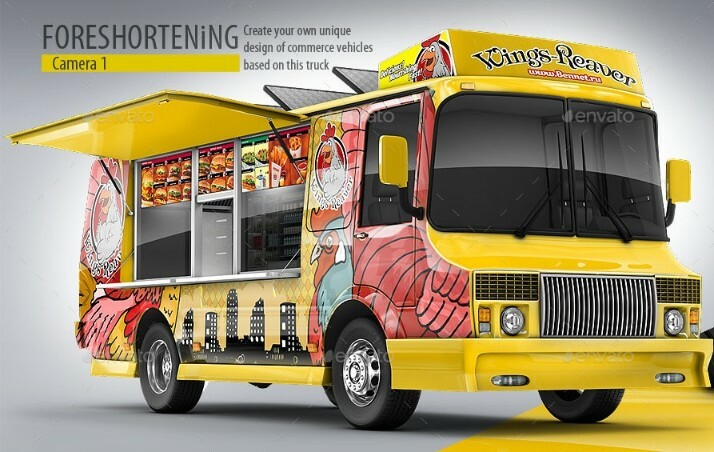 You can showcase the design on the food truck easily via smart objects in just two clicks. Customize the presentation of the design by using the smart layers. This is a high resolution psd file so you can give a realistic look to your design by using this file. 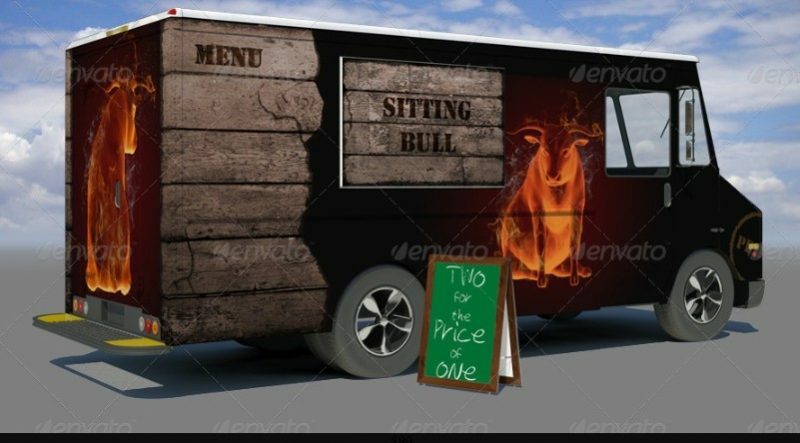 Edit the design on the truck by using the smart objects and customize the background of the pack according to the need. The reflections of the presentation can be adjusted and 6 different backgrounds are included in the pack. 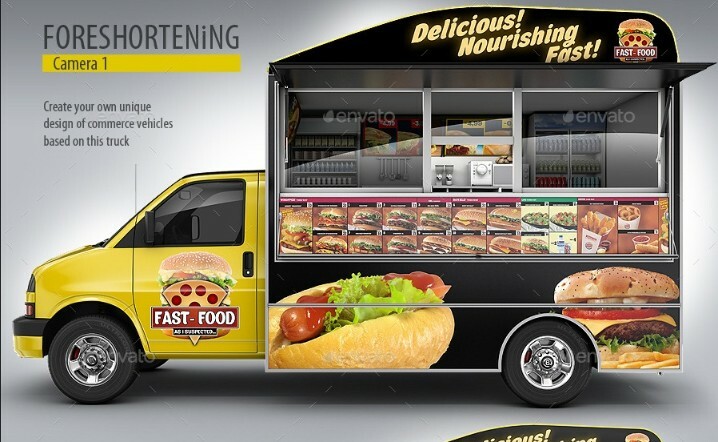 This is a professional and clean food truck mockup psd for the restaurant branding. This is a high resolution pack and you can edit the pack via smart objects. To edit the design you should double click on smart layer and replace the existing design with yours. The reflections give a professional look. 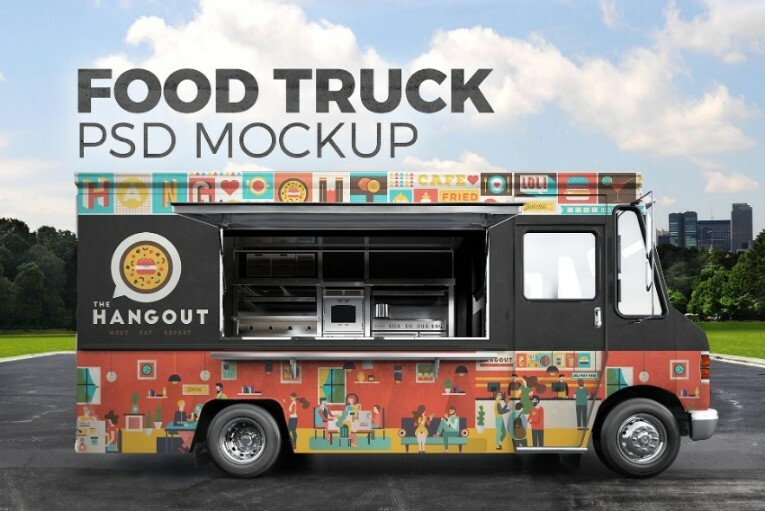 This mockup is designed by using the isolated image which give a unique look to the design. The layers of the psd file will help in easy customization. Replace the background of the presentation according to your wish. 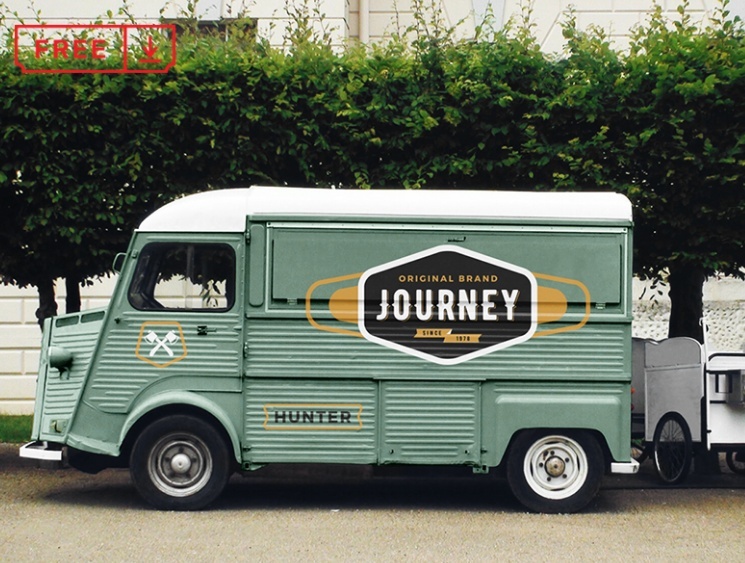 You can use this file for ice cream shop, burger cafe, coffee shop and street food branding. 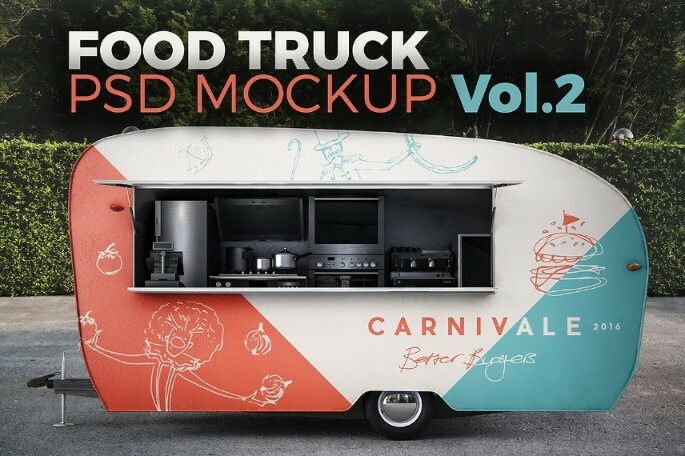 Download the premium mockup psd and use it for personal and commercial use.